BridgeWell Capital offers private money loans for Real Estate Investors in Tampa. We pride ourselves in being the preferred source of capital for Investors. One of the common problems of Real Estate Investors in Tampa is that they often lack the capital to finance their deals. It is no secret that Tampa offers great bargains to real Investors, but those that use private money are the most successful. Private money, provides immediate access to the investment capital you need to take advantage of Tampa’s real estate deals. With BridgeWell Capital, you will find the fastest and easiest source of private money funding for your real estate investments. Our flexible loan terms are tailored for entrepreneurs investing in buy-fix-sell projects, investor refinance, buy and hold projects and rehab credit lines. We can finance up to 80% LTV for a period of 1-30 years. See our loan programs for more details. One of the main benefits of our private money loan program is that we can approve Investors quickly and easily. While banks and other conventional lenders repeatedly deny applicants for their credit score, because they are self-employed or for recent foreclosures or short sales, BridgeWell Capital does not consider these factors when approving private money loans. Instead, a significant down payment, solid income and your ability to succeed is all we are looking for. That’s right! We are looking for your success and we believe our private money loans program can give you the leg-up you need to successfully enter Tampa’s growing and competitive market. How is BridgeWell Capital Unique from Other Hard Money Lenders in Tampa, FL? Consistent, Responsive and Reliable Service: At BridgeWell Capital we pride ourselves on providing unparalleled customer service. We walk you through the entire process, so you know exactly what to expect. If you have questions, your personal account executive is always available and ready to assist you. In fact, a strong percentage of our business comes from repeat customers. Simply put, once you’ve done business with BridgeWell Capital, you won’t go anywhere else for your real estate investment hard money loans. See our testimonials. Experience: With over 30 years of real estate investment experience, our management team sets industry standards, having successfully funded over USD$200MM in hard money loans for real estate investors. Support & Coaching: We strive to be more than just a source of private money for real estate investments. Our hard money loans are structured around win-win business relationships with our borrowers. We want you to be successful in your investments, so we provide you with all the support and real estate industry best practices you need to make smart, confident investment decisions. From rehab to rental, BridgeWell’s got the Cigar City covered. Licensed Mortgage Lender: Unlike other hard money lenders in Tampa, FL, BridgeWell Capital is a fully-licensed and insured mortgage lender that’s A+ rated by the Better Business Bureau. Tampa is the second largest metropolitan area in the state and the largest port in the state of Florida. In recent years, Tampa has experienced an expanding market demand from consumers in all its core business activities, providing the perfect conditions for entrepreneurs to grow their business and build wealth. One of Tampa’s core business activities is real estate. In the past few years, Tampa has experienced an outstanding sustained recovery and redevelopment process, at a faster rate than the general national trend. The number of transactions and the home sales prices have been increasing consistently over the last few years. Now is a great time to invest in Tampa’s Real Estate market. Investors that have been waiting for favorable market conditions are jumping in to take advantage of the wealth-building opportunities. If you ask any real estate investor in Tampa what the market conditions are, they will tell you they are the best in many years. They would tell you how houses seem to be snatched away as soon as they hit the market, and brag about how the selling prices are steadily going up. There is no better time like today to start investing. It is no secret Tampa’s real estate market offers great investment opportunities. A recent article in the Tampa Tribune cites a report released by Florida Realtors® showing home sales increased 11.4% year-on-year for the month of May in the Tampa-St. Petersburg-Clearwater Metropolitan Statistical Area. Median home sale prices rose 12.5% during that time, while days on market dropped by 17.3%. Statistics for surrounding Hillsborough and Pinellas county mirror those in the Tampa-St. Pete.-Clearwater MSA. 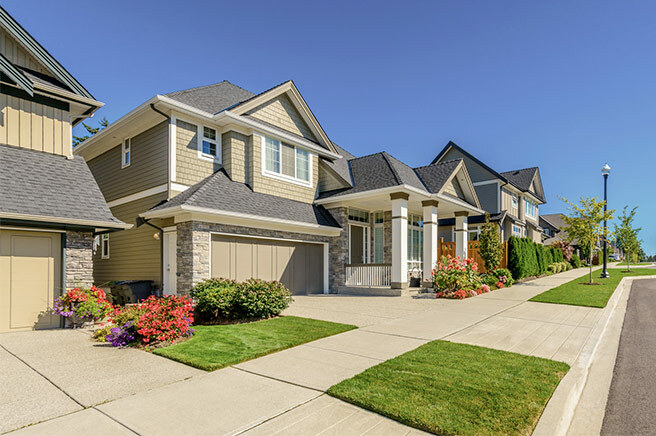 Keeping up with the market and staying up-to-date on current trends can lead to, not only smarter investment decisions, but ultimately, a more successful portfolio of investment properties. At BridgeWell Capital, we approve our hard money loans based on your ability to succeed, and the local market trends and indicators are some of the factors we encourage our borrowers to use to make smart investment decisions. For example, buying a residential property where home sales are rising and days on market are decreasing, or where school ratings are high, and crime rates are low, should translate into an easier, more lucrative, real estate investment project. For current trends in Tampa’s real estate investment market you can visit Zillow.com or Trulia.com. Take the next step! Get Started Now! Tampa’s demographic trends promote a healthy environment for the real estate housing market. Analysts point several factors that contribute to Tampa’s long-lasting market growth. In fact, the whole state of Florida has been ranked as one of the most populous states in the country and among the 10 fastest growing in the past few decades. Perhaps the most important factor affecting Tampa’s demographic growth is the growth in the senior population. Seniors will create new demands for affordable, accessible housing as they retire. Tampa, and other cities in Florida (Orlando, Jacksonville, Tallahassee and Sarasota), are expected to be the destination for these new retirees in the near future, which will positively impact the demand of the housing market. While there is still plenty of inventory, Investors must take advantage of the great opportunities Tampa will offer in the near future. Tampa Bay Real Estate Investors Association: Serving the greater Tampa Bay since 2005, TBREIA holds regular monthly meetings in North and South Tampa, St. Petersburg, and Brandon. Check out the TBREIA Meetings page for more information. Suncoast Real Estate Investors Association: SREIA is a not-for-profit, volunteer-run association committed to assisting individuals looking to succeed in real estate investment. Their general meetings are held on the first Tuesday of every month at the Ramada Tampa Westshore Airport Hotel. Investor Luncheons are held on the 2nd Tuesday of every month at the Spruce Street IHOP in Tampa just west of the International Mall. Both events are free for members. There is a $20 attendance fee for guests attending either event. Location may change, so contact prior to attending. Tampa Real Estate Investors Alliance: The Tampa REIA holds their main monthly meeting on the second Thursday of each month at the DoubleTree Suites by Hilton Tampa Bay. The meeting is free for Tampa REIA members. There is a $20 attendance fee for guests, but if you register online prior to the event admission is only $15. West Florida Real Estate Investors Association: Based out of Sarasota, the West Florida REIA meets the second Thursday of each month at the Realtors® Association of Sarasota and Manatee. Weekly meetings are held in Port Charlotte at Luigi’s Family restaurant and Pizzeria every Thursday of the month except the second. Monthly and Weekly meetings are free for members. There is a $20.00 attendance fee for guest of the monthly meeting and a $5.00 attendance fee for guest of the weekly meeting. REIAs are a great place for real estate investors to grow their business and we highly encourage getting involved. Find the REIA that best fits your needs. A well built out knowledge base and support group can only help when it comes to making your next real estate investment project a success. BridgeWell Capital is Tampa’s #1 hard money lender for real estate investment in Florida. Whether it’s rehab loans or investment for rental properties, BridgeWell Capital is the most trusted name in private money lending. If you need help financing your next commercial or residential real estate project contact us today! For more information about our hard money loans in Tampa, FL call us at 813-530-3000, or fill out our request funding form online and we will contact you within one (1) business day.